Cuphea Caribbean Sunset thrives in the heat of a sunny garden. Cuphea Caribbean Sunset is blooming from early Spring through late Fall, only interrupted by frost or wayward dogs and kids. The plants are brittle enough that even a hard rain or wind can sometimes break them down. But there aren't many plants capable of producing so many flowers so continuously. Give them a warm and protected location in your garden. Cuphea Caribbean Sunset air layers when the branches touch the ground. 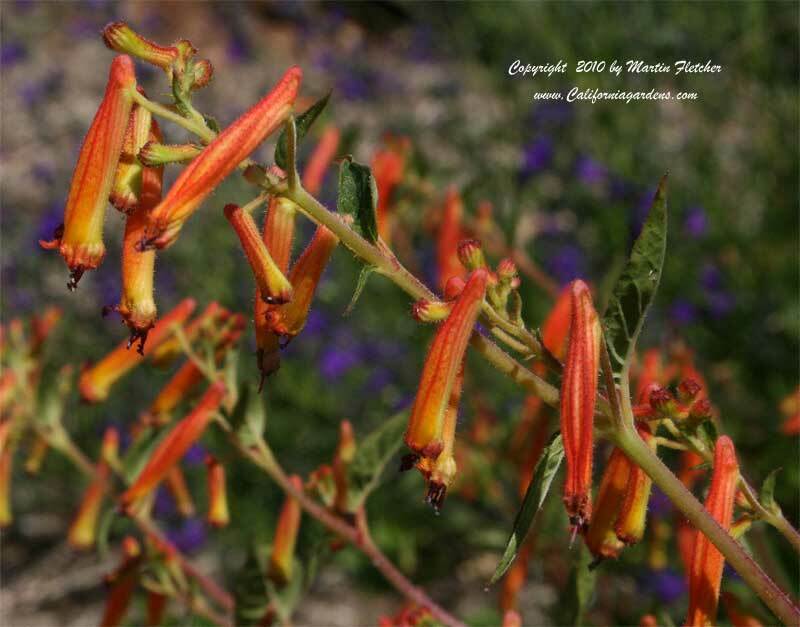 Cuphea Caribbean Sunset is top killed by frosts in the low 30°s F.
Flowers and foliage of Cuphea Caribbean Sunset . High resolution photos are part of our garden image collection.